1. 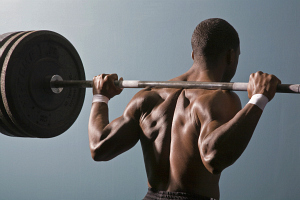 Slow , light weight reps can be better than fast heavy weight reps. Sometimes when we workout we don’t really realize how fast were lifting. This can be a big time mistake when trying to gain muscle and a better looking body. It is not all about the amount of weight we can lift, nor is it about the number of times we lift a weight. Reality is that what is most important is high quality good form repetitions. With this, weight will still increase so you can look like a gym god. However, your reps will look more real and your muscles will look more full. It is truly a win – win. Do not however discount explosive reps for functional strength. However, this is about exercise tips and that will be for a different article. 2. Breathing, did you know most people do not even know how to properly breathe when performing exercise! When weight lifting, exhale when exerting the most amount of energy and inhale on the easiest part of the repetition. This will allow for more reps and no dizzy feeling when working out. Running however, that is a different story, that too is a different article altogether. 3. Drink enough water to replace the water lost during workout. Many people drink too little water when working out, this goes for both cardiovascular workouts and general weight lifting. Did you know that you are supposed to consume 8-11 oz of water every 20 minutes of working out? That means when you workout for an hour you are to consume about 33 oz of water. Next time count how much water you consume at the gym. 4. Hungry at the gym = no good. Do not go to the gym when hungry and do not workout when hungry. Many people do not like to eat before a gym workout, however recent studies have shown it fuels muscle growth. So what do you do if you fit in this category? Drink a protein shake 30 minutes before lifting or doing cardio. 5. Variety is great. Sometimes working out can get so routine, If you weight lift, pick a day once every week where you do something fun or different. This could be a free day at the gym where you do nothing but your favorite workouts, or this could be go outside and rock climb for an hour. Spice is the variety of life….or something like that.